Proceeds benefit Trump Victory, a joint fundraising effort between the Republican National Committee and Trump’s campaign. Dukakis’ was ridiculed during the 1988 campaign after he donned a military helmet and rode in a tank, intending to portray himself as worthy of becoming commander in chief. Dukakis’ Republican rival, then-Vice President George H.W. Bush, ran campaign ads with images of Dukakis in the tank. Most politicians since then have avoided wearing anything on their heads, but Trump often wears caps bearing his “Make America Great Again” campaign slogan. The plant had been at risk for closure but is now benefiting from his administration’s investments in defense spending. Trump’s visit marks his first trip to Ohio since last year’s midterm election campaign, when Ohio was a rare bright spot for Republicans in the upper Midwest. The Lima Army Tank Plant had been at risk for closure but is now benefiting from Trump’s focus on boosting defense spending. The president has asked Congress for $750 billion for the Pentagon next year, more than was appropriated in each of his first two years in office. The visit is Trump’s first this year to the politically important state. It follows complaints by the president about General Motors’ decision to close its plant in Lordstown, Ohio, as part of a corporate restructuring. Trump won the state of Ohio, and it’s a key focus of his re-election effort. 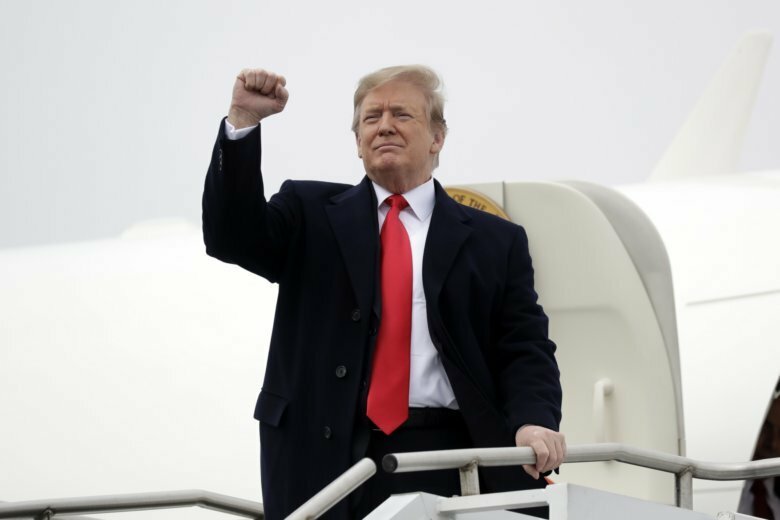 Trump’s visit Wednesday marks his first trip to Ohio since last year’s midterm election campaign, when Ohio was a rare bright spot for Republicans in the upper Midwest. Relying on a victory in the state, Trump’s campaign is mindful of warning signs that Ohio can hardly be taken for granted in 2020. No state may better illustrate the re-aligning effects of Trump’s candidacy and presidency than Ohio. Traditionally Democratic-leaning working-class voters have swung heavily toward the GOP, and moderate Republicans in populous suburban counties have shifted away from Trump.